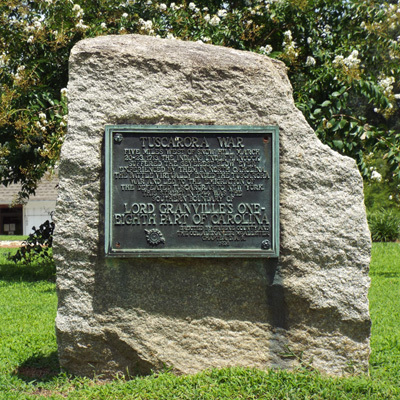 A simple bronze plaque is attached to a large, irregular shaped four foot high rock. In addition to the inscription the plaque has the spinning wheel insignia of the Daughters of the American Revolution. The Nooherooka memorial commemorates the site of the final major battle of the Tuscarora War at Fort Neoheroka, near Contentnea Creek, in 1713. The memorial marker faces Southeast 2nd Street, a short distance from the intersection with N. Green Street and to the right of the Greene County courthouse. 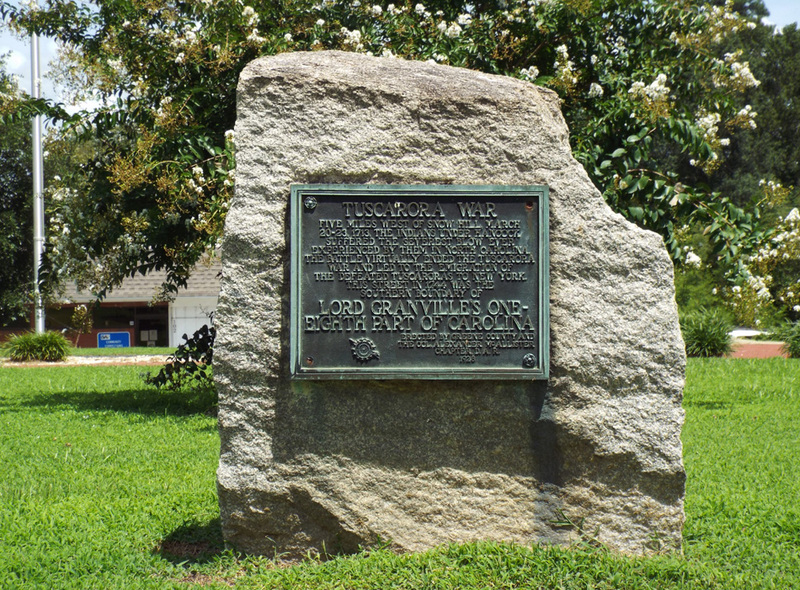 A Fallen Law Officer marker stands to the left of the Tuscarora War and Lord Granville memorial. Greene County Confederate Monument, Sergeant Ray E. Eubanks, Medal of Honor obelisk, and Veterans Memorial are located on the left side of the front lawn. The memorial marker stands on the right side of the courthouse lawn, with a few trees and bushes behind it. Annual Memorial Day services are held on the Greene County Courthouse lawn.